In recent years, business anthropologists have come to play a role as top-level advisors to large corporations. In particular, anthropologists have helped corporations shift their gaze from an inside-out perspective to an outside-in perspective on their companies (Madsbjerg and Rasmussen, 2014a). Business anthropologist (Baba, M. 2006) who have challenged the conventional inside-out approach to corporate decision-making, have often been active in helping companies pursue ‘blue ocean strategies’ (Kim and Mauborgne 2015, Kim and Maugborne 2005), ‘disruptive innovations’ (Christensen, 1997) or more generally to pursue ‘differentiation’ as opposed to ‘cost leadership’ strategies (Porter, 1985). Other times, business anthropologists have studied and helped companies make sense of their organizational cultures (Schein 2004) or focused on the globalizing nature of the contemporary organization (Jordan, 2013). But while the influence of business anthropologists seems to be on the rise within corporations, there are large and important elements of corporate life that are still largely left to traditional management approaches. One important such area is cost reduction, a central focus area for most ‘traditional’ management consultancies (including my own former employer, The Boston Consulting Group). In the few instances that cost reduction has been explicitly taken on by anthropologists, this has mainly been done in the role of a critical ethnography—the anthropologists as an external observer—rather than in an applied fashion where the business anthropologist helps the leadership of the corporation or organization reduce cost. Ho (2009) is a prime example. Rubens (2009) is a noteworthy—if limited in scope—exception. And so, when business anthropologists work with the C-suite of large companies, the clients or employers tend to be the chief marketing officer (for consumer research), the chief strategy officer (for strategy work anchored in an outside-in perspective), the chief innovation officer (for new product development work) or the head of HR (for corporate culture work). Cost reduction, on the other hand, lies at the hands of the chief operating officer or the chief financial officer, corporate offices that are rarely visited by business anthropologists. Following from this division of labor, work on cost reduction is explicitly and anchored in an inside-out perspective of the corporation. The book Strategic Cost Reduction: Cutting Costs without Killing your Business (McCormick and Duff, 2014) can serve as an illustrative example. According to McCormick and Duff, cost reduction should ideally be anchored in the annual budget process and should be focused on first understanding the cost components of a company, then the cost drivers affecting each of the cost components and lastly understand how each of the cost drivers may be affected through methods such as lean, optimized procurement and similar. To the extent that the company’s external surroundings are taken into consideration, this is primarily through benchmarking with other companies. For these reasons, I believe a fruitful new alley of engagement for corporate anthropologists would be to get involved in cost optimization initiatives in large companies. In brief, I believe that business anthropologists can play a significant role in cost reduction projects in two ways. The implication is that the beverage company was spending money undermining the relationship with a key stakeholder group—bar owners. Such a finding most likely would not have emerged from a traditional cost reduction program, where the starting point for identifying cost reduction opportunities would have been benchmarking, not ethnographic research. On the other hand, nobody would mind that the beverage company optimized their marketing by no longer producing and distributing promotional material no one used. And so, secondly, business anthropologist can increase the likelihood that cost reduction programs will succeed. This can be done by taking an ‘emic’ position, where “ethnographers take the participants point of view” (Ladner, 2014). Taking the participants point of view will increase the likelihood that the identified cost savings will actually be realized. This is important in a situation where McKinsey & Company estimates that up to 90% of cost saving initiatives fail to deliver on (all of) the potential cost reductions. Understanding how employees position themselves strategically in relation to cost reduction programs (Weeks, 2004; Funahashi, 2013) will help senior leaders implement the cost reduction programs better. Cefkin, M., eds. 2009. Ethnography and the Corporate Encounter: Reflections on Research in and of Corporations. Berghahn Books. Funahashi, D. “’Wrapped in Plastic’: Transformation and Alienation in the New Finnish Economy,” Cultural Anthropology 28, no. 1 (2013): 1-21. Ladner, S. 2014. Practical Ethnography: A Guide to Doing Ethnography in the Private Sector. Left Coast Press. Madsbjerg, C. and Rasmussen, M.B. 2014. The Moment of Clarity: Using the Human Sciences to Solve Your Toughest Business Problems. Harvard Business Review Press. Madsbjerg, C. and Rasmussen, M.B. 2014. “An Anthropologist Walks into a Bar…,” Harvard Business Review, March Issue. 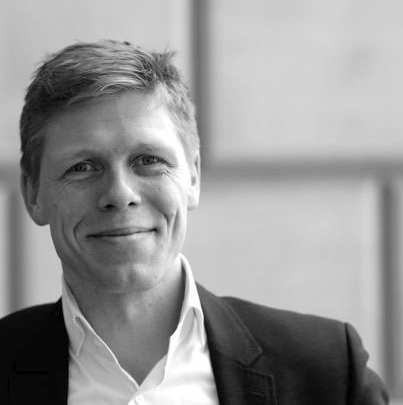 Andreas Wester Hansen holds an MBA from London Business School, an MA in Cultural Studies from Goldsmith’s College, a BsC and a MsC in Political Science from University of Copenhagen and a BA Hons. in International Relations from Cape Town University. Andreas has worked as a journalist, a Head of Communication, a Senior Advisor at The Danish Ministry of Finance, a Project Leader at The Boston Consulting Group and as an Engagement Partner at Qvartz management consultants. He specializes in corporate strategy and corporate finance and works to combine approaches to problem solving used in traditional management consultancies with those rooted in the human sciences. Thank you for a very interesting and well referenced piece! The last couple of days I have been pondering the future of strategic UX/design research/business anthropologists (or any other title people who contribute with the outside in perspective might have in their workplace). Today (in my opinion) we are often change leaders. But what are we tomorrow? This text gives a nice answer to that question, so thank you for that!